Alternate solder point for PU-22 to the CD-ROM 'Interrupt' ? hi members , i ran in to a bit of trouble with a Switch Board install today. I've got it working with PSIO but i'm not happy with the joint. Is there a alternative solder point on the motherboard PU-22 for CD-ROM 'Interrupt'. Re: Alternate solder point for PU-22 to the CD-ROM 'Interrupt' ? 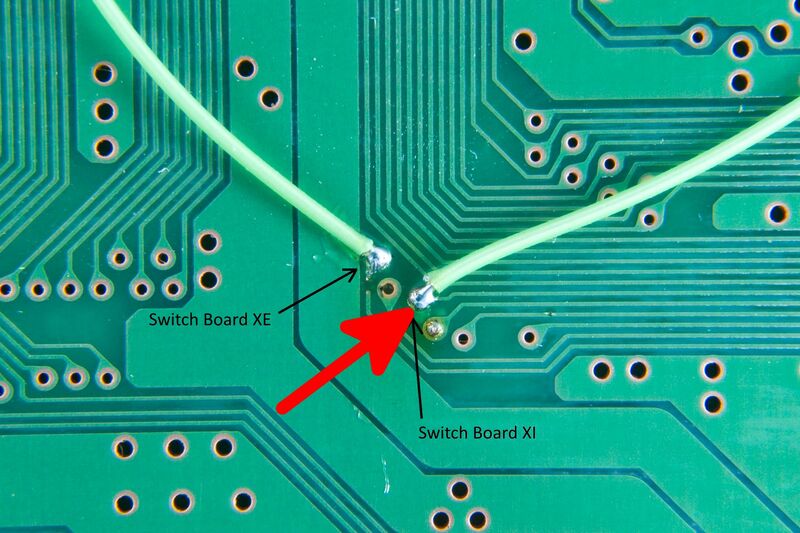 Yeah, if it's damaged where you're pointing with the red arrow, it'll be on the other side of the PCB. Otherwise, you need to follow that trace back and solder to wherever it is going.